From the very beginning international activity was considered to be an essential part of the university’s strategy of development, aimed at full integration into the world’s scientific and educational space. The first agreements with foreign partners were signed in 1991 and in December 1992 a new structural sub-unit – the International was founded. The main task of the Office, in correspondence to the defined prior directions of the international activity of the ZNU is cooperation with foreign institutions of higher education in the sphere of Science and Education, preparation and realization of the international educational and scientific projects, intensifying the academic mobility of students and tutors, organization of foreign students’ education. In the course of eighteen years of Office’s activity the university’s geography of international relations has expanded and for the moment it covers such countries as the USA, Canada, Great Britain, Germany, France, Spain, Ireland, Portugal, Norway, the Netherlands, Estonia, Poland, Bulgaria, Romania, Turkey, China, Korea, Russia, Belorussia, Moldova, Armenia, Azerbaijan etc. Two European Graduate Schools on Social Pedagogics and Business Administration were opened in the university; the program of double French-Ukrainian diploma was established in the field of the Physical and Biological Sciences. 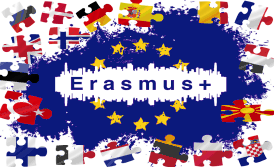 In order to provide with an education in European Master Schools, with courses and lectures, workshops and trainings about 80 foreigners visit university each year, among them – participants of long-term academic exchange programs from the Fulbright Fund, French Ministry of Science Program, “Borderless Teachers”, cooperation programs from Bulgarian, Czech, Slovak and Polish Ministries of Science. During the academic year about 100 students and 70 tutors take part in educational and internship programs abroad. Three centres, founded in assistance with international organizations and embassies of different countries and certificated according to the international language standard provide with the required preparation of language level necessary for the full integration in the world’s scientific space. With the support of international partners twelve specialized centres and laboratories work in the ZNU as a result of the international cooperation, including the International Computer Delinquency Research Centre and the Treatment Laboratory for children with special needs. University has under its belt the participation in more then 100 International projects of the programs organised by government and embassies of European and other countries, such as TEMPUS, SOKRAT-ERASMUS, INTAS, NATO, IREX, International Renaissance Fund, Fulbright Fund, Christian Children’s Fund. Many times in order to recognise the profound contribution to the development of international relations in the region the university was visited by honourable guests such as Ambassador Extraordinary and Plenipotentiary of the USA to Ukraine Steven Pifer and William B. Taylor, Ambassador Extraordinary and Plenipotentiary of France to Ukraine Dominique Chassar and Jean-Paul Vesian, Ambassador Extraordinary and Plenipotentiary of Germany to Ukraine Mr. Hans- Jürgen Heimsöt, Ambassador Extraordinary and Plenipotentiary of Bulgaria to Ukraine Mr. Dimitar Vladimirov, Ambassador Extraordinary and Plenipotentiary of Indonesia to Ukraine Mr. Alexander Laturiuv etc.